These striking button drop earrings are rich with an assortment of red, white and blue coloured buttons. All these are attached to a silver plated chain. The ear wires are sterling silver with plastic stoppers. 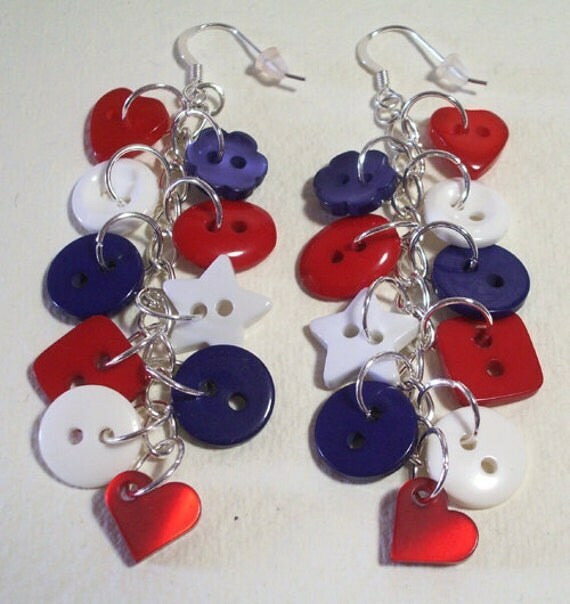 Folksy :: Buy "Red, white and blue button sterling silver drop/dangle earrings"